A reverse mortgage is a loan available to people over 62 years of age that enables a borrower a way to turn the equity locked in your home into tax free cash without having to make any monthly mortgage payments. The funds you receive can be used for almost anything including paying off your existing mortgage (required as part of the loan), eliminating credit card debt, medical and other bills, or simply improving your lifestyle. 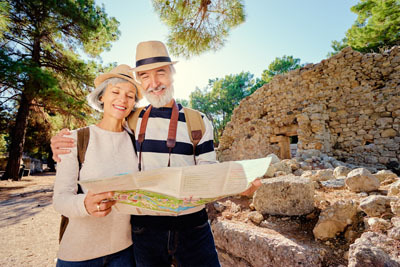 A reverse mortgage with The Cal Mutual is a government insured loan that enables seniors to gain financial independence from their ever increasing living expenses. And the best part -- you continue to own your home and you’re not required to pay back the loan until the home is sold or otherwise vacated. As long as you live in the home, you are not required to make any monthly payments towards the loan balance, but you must remain current on your tax and insurance payments.